Amini, K., Akhbarizadeh, A., Javadpour, S. (2015). Investigating the Effect of the Deep Cryogenic Heat Treatment on the Mechanical Properties and Corrosion Behavior of 1.2080 Tool Steel. International Journal of Iron & Steel Society of Iran, 12(2), 24-29. K. Amini; A. Akhbarizadeh; S. Javadpour. "Investigating the Effect of the Deep Cryogenic Heat Treatment on the Mechanical Properties and Corrosion Behavior of 1.2080 Tool Steel". 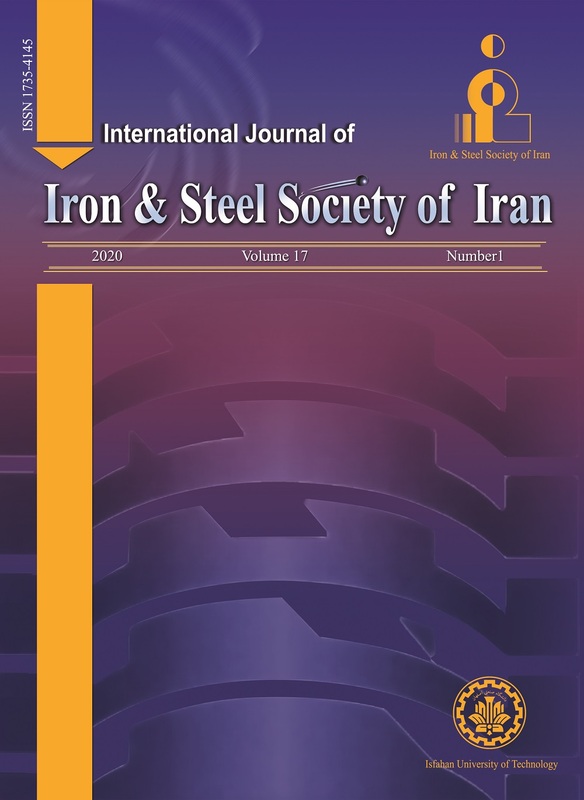 International Journal of Iron & Steel Society of Iran, 12, 2, 2015, 24-29. Amini, K., Akhbarizadeh, A., Javadpour, S. (2015). 'Investigating the Effect of the Deep Cryogenic Heat Treatment on the Mechanical Properties and Corrosion Behavior of 1.2080 Tool Steel', International Journal of Iron & Steel Society of Iran, 12(2), pp. 24-29. Amini, K., Akhbarizadeh, A., Javadpour, S. Investigating the Effect of the Deep Cryogenic Heat Treatment on the Mechanical Properties and Corrosion Behavior of 1.2080 Tool Steel. International Journal of Iron & Steel Society of Iran, 2015; 12(2): 24-29. 2Department of Materials Science and Engineering, Shiraz Branch, Islamic Azad University, Shiraz, Iran. Deep cryogenic heat treatment is assumed as a supplementary heat treatment performed on steels before the final tempering treatment to enhance the wear resistance and hardness of the steels. In this study, the effects of the deep cryogenic heat treatment on the wear behavior and corrosion resistance of the 1.2080 tool steel were studied using the wear testing machine and polarization and impedance spectroscopy tests. Moreover, the microstructural changes of the deep cryogenically treated samples were clarified via the scanning electron microscope (SEM) and X-ray diffraction testing machine. The results showed that the deep cryogenic heat treatment eliminated the retained austenite and made a more uniform carbide distribution with higher percentages. Beyond this, it was clarified that the deep cryogenic heat treatment increased the hardness and improved the wear behavior of the 1.2080 tool steel, as well as decreasing the corrosion resistance, due to the higher chromium carbides produced during the deep cryogenic heat treatment. N. S. Kalsi, R. Sehgal, V. S. Sharma: Mater. Manuf. Process., 25(2010), 1077. S. Kalia: J. Low Temp. Phys., 158(2010), 934. A. Akhbarizadeh, A. Shafyei, M. Golozar: Mater. Design., 30(2009), 3259. K. Amini, A. araghi, A. Akhbarizadeh: Acta Metall. Sin. (English Letters), 28 (2015), 348. W. Reitz, J. Pendray: Mater. Manuf. Process., 16(2001), 829. K.Amini, S. Nategh, A. Shafyei, A. Rezaeian: Int. J. Min. Met. Mater., 19(2012), 30. A. Akhbarizadeh, K. Amini, S. Javadpour: Mater. Design.,35 (2012), 484. H. Paydar, K. Amini, A. Akhbarizadeh: Kovove Mater., 52(2014), 163. K. Amini, A. Akhbarizadeh, S. Javadpour: I Int. J. Min. Met. Mater, 19(2012), 795. K. Amini, S. Nategh, A. Shafiey, M.A. Soltany: Proceedings of the 17Th International Metallurgical and Materials Conference, Czech Republic, 13-15 May 2008, 1. A. Akhbarizadeh, K. Amini, S. Javadpour: Mater. Design.,45(2013),103. C. H. Surberg, P. Stratton, K. Lingenhöle: 48(2008), 42. ASTM. Standard Practice for X-Ray Determination of Retained Austenite in Steel with Near Random Crystallographic Orientation. West Conshohocken, PA: ASTM International; 2013. W. S. Tait. An Introduction to Electrochemical Corrosion Testing for Practical Engineers and Science. Madison, Wis, USA: Pair O Docs Professionals; 1994. M. E. Orazem, B. Tribollet. Electrochemical Impedance Spectroscopy. Hoboken, New Jersey, USA: A John Wiley & Sons Inc; 2008. D. Song, A. B. Ma, J. H. Jiang, P. H. Lin, D. H. Yang: Trans. Nonferrous Met. Soc. China, 19(5) 2009, 1065. J. R. Davis. Stainless Steels. Materilas park, OH. USA: ASM International; 1994. R. A. Lula, J. G. Parr. Stainless steel. revised, illustrateded. Michigan, USA: American Society for Metals; 2007.